I know it’s a bit early from gardening. But last weekend felt downright springlike. And today too. I mean it’s 35 outside, and NOT windy or snow/ice/sleet/raining. Relative to the single digits and weather we have had lately, I say it qualifies. Last summer Rob had the idea that he wanted to plant berries in our balcony garden. I told him it wouldn’t work, but go for it. 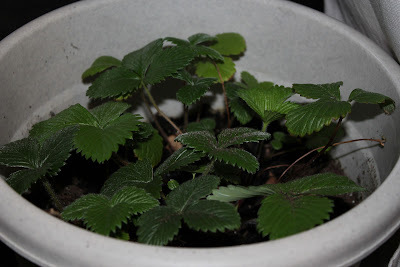 Strawberry seeds were bought and planted, and started to grow. 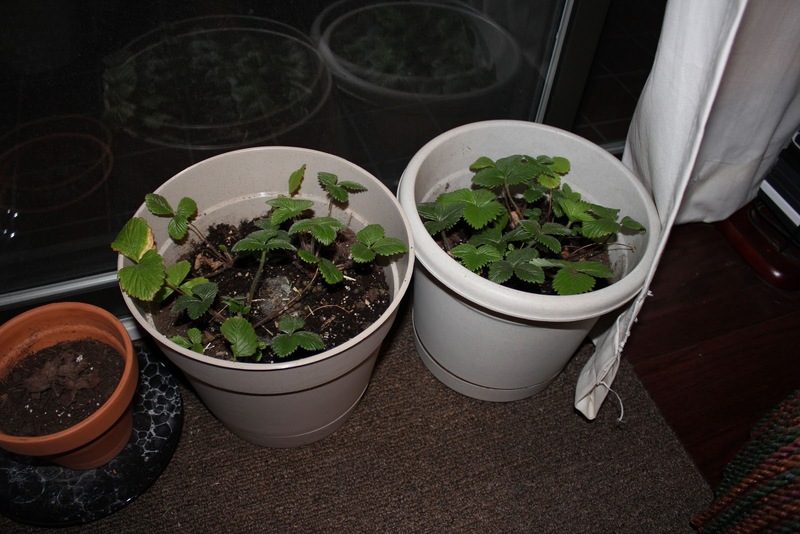 In the fall they were ready to be thinned and transplanted. Lucky for us we brought the pot inside sometime in November before crazy snow started, so the plants survived. The transplant pot however didn’t come in until about 3 weeks ago, and then we had to wait for the dirt to thaw. And last week, we started this summer’s garden. Six decent size plants in two pots. Will they bear fruit? It might still be another year before we know, but for now the green is nice. Ahh, dreaming of my spring time planting and my summer garden. **baby news coming soon. I am trying to not be baby only all the time.